Origin and Habitat: Madagascar, endemic to a small in area south of the town of Ambositra. Habitat: Open forest and remnant of riverine forest at high elevation between 1300-1500 m above sea level, in a rocky valley on the steep slopes of the high central plateaux of Madagascar. Central Madagascar can be quite a hostile environment, getting down to freezing in winter, and being very hot and dry in summer. This species is critically endangered in its native habitat, however it is becoming established in cultivation. 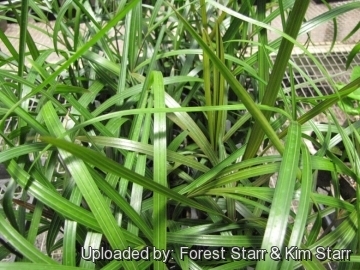 Description: Dypsis ambositrae is a very attractive, medium sized, single trunked palm that occasionally produces one or two suckers. It has long thin, gracefully arching leaves, giving this palm an elegant silhouette. Many seedlings has come into horticulture under the name ambositrae but most have turned out to be seed of other Dypsis species. 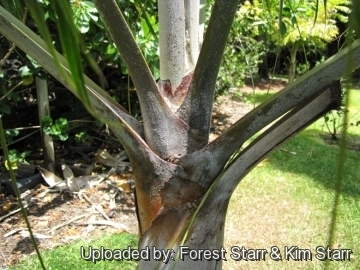 Trunk: Up to about 7 metres tall, mostly solitary occasionally dividing dichotomously to form two stems. Leaves: Pinnate dark green leaflets. The juvenile of the species is highly colorful with red petioles and leaf rachis. 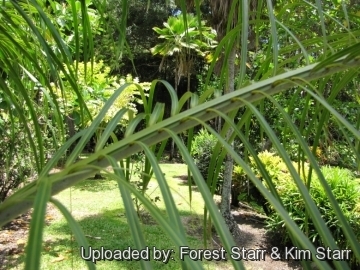 1) Forest & Kim Starr Dypsis ambositrae (ambositra palm). Plants of Hawaii. <http://www.starrenvironmental.com>. Downloaded on 21 August 2014. 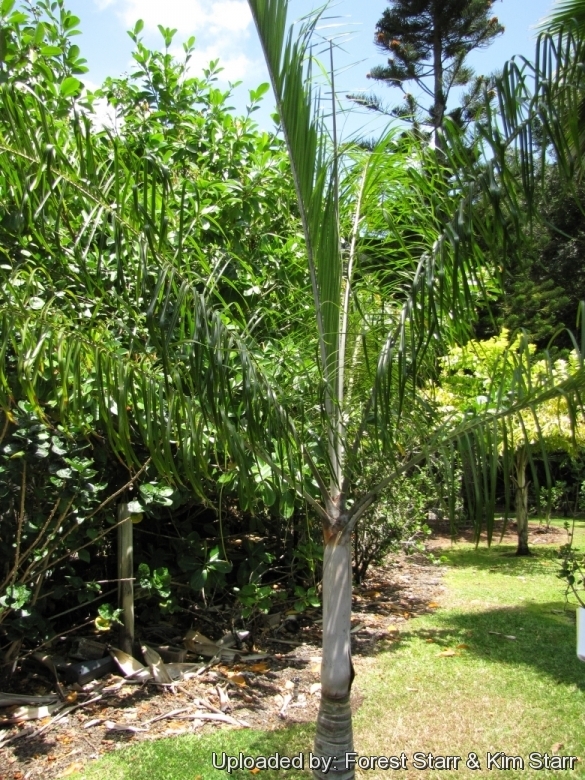 Cultivation and Propagation: This palm is an excellent relatively slow-growing garden plant adapt to different climates, from tropical to warm temperate, presumably it would quite a hardy plant in cultivation. It can tolerate sweltering heat and windy conditions. Soil: It prefers well-drained sandy soil except those that are constantly soggy. Hardiness: Some cold tolerance. 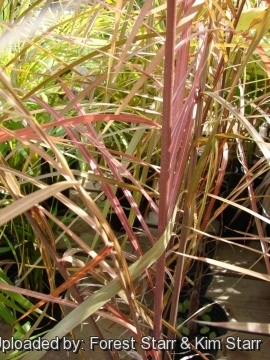 This palm has tolerated temperatures down to –1ºC and even a little snow (USDA Zone 9b-11). However it can be difficult to get it to look its best without a great amount of heat and sun. Aerosol salt tolerance: It is moderately salt tolerant. Use: Its very neat appearance and stature makes it perfect near highways and used to accent residential landscapes and close to swimming pools. It is sometimes closely planted in groups of two or three.